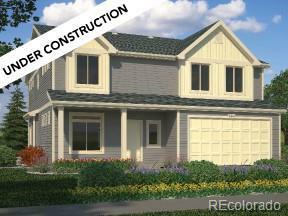 This beautiful 2-story has an open concept design and allows room to expand. This floor plan allows you to optimize the functions you find most valuable to your family. This home features 4 bedrooms, 2.5 bath and an ample sized bonus room on the 2nd floor. This home offers the versatility to optimize the layout of your kitchen to either enjoy a causal dining area off the kitchen or to utilize the flex room at the front of the house. Finally, this home is built on an unfinished garden-level basement. Finishes include; engineered wood flooring in kitchen and living room, and dining area, carpeting in bedrooms, vinyl flooring in secondary wet areas, White Icing cabinet finish, and tile flooring and surround in master bathroom.